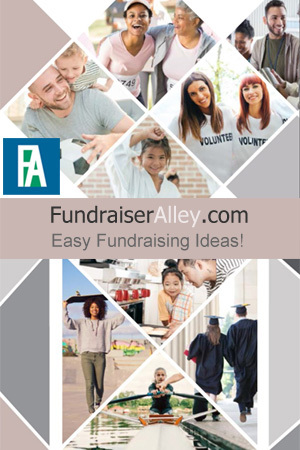 Team Tumblers are a Fun Fundraising Idea! 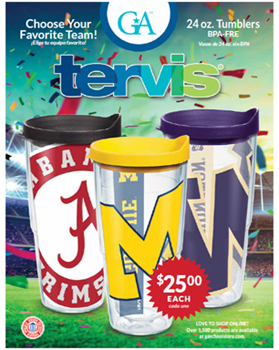 The Tervis 24oz Tumbler Order-Taker Fundraiser features NCAA Team insets in transparent 24 ounce hot/cold double wall insulated tumblers. These sell for $25.00 each, giving your group a 40% profit. This is a colorful brochure, featuring over 80 Officially Licensed team options, plus 15 other design choices, and the option to customize. Everyone loves a personal tumbler to take along with them or to use as a collectible. 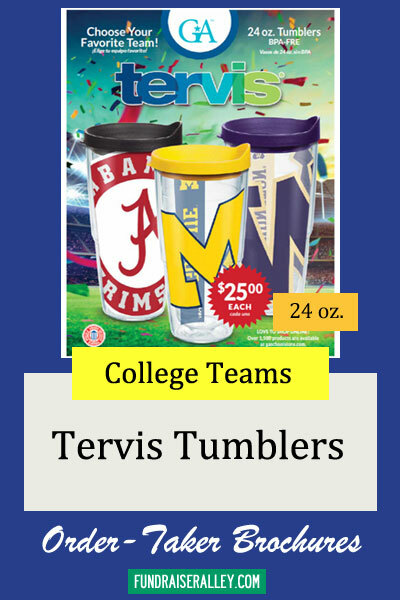 We recommend Team Tumblers for any sports team fundraiser.